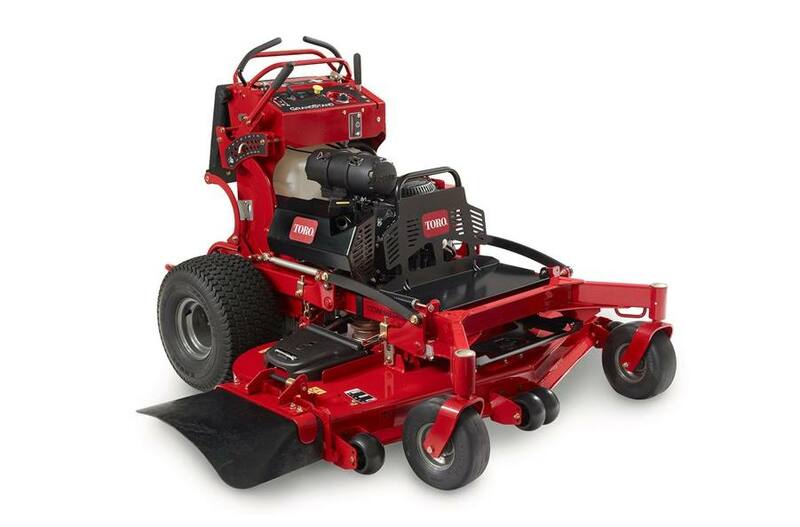 This all-new Toro® GrandStand™ stand-on mower has a 60" Turbo Force cutting and 25 hp Kohler EFI 747cc engine. It's designed to give you even more productivity. The smaller footprint takes up less space on the trailer when transporting. Mows 25% faster with speed up to 10 mph, has a 10.5 gallon fuel tank that allows you to go farther and work longer. We've eliminated the hydraulic hoses, reduced parts, no routine greasing and simplified the design to save you time. 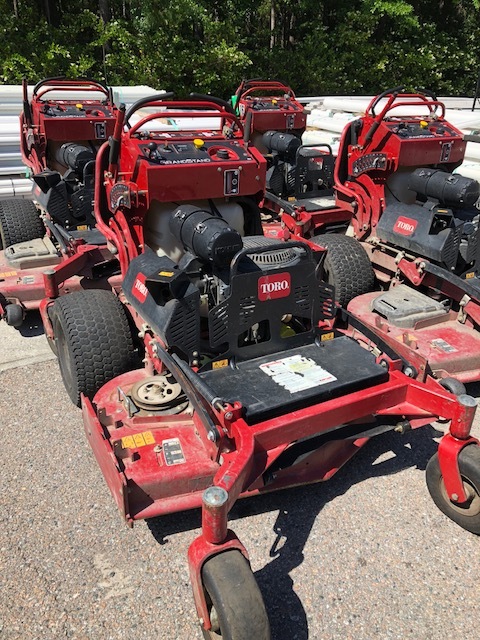 All GrandStand stand-on mowers give you exceptional operator visibility which leads to less property damage and a higher quality of work. 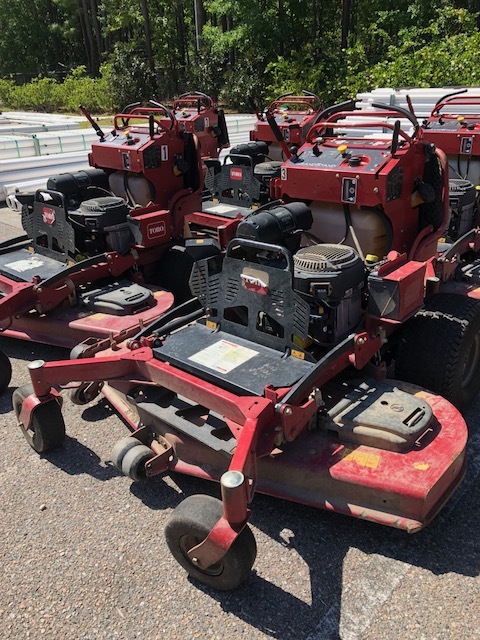 Best of all, great traction on slopes and maneuverability.